2-Headed Monster: Will Christopher Bell Be at Joe Gibbs Racing in 2020? 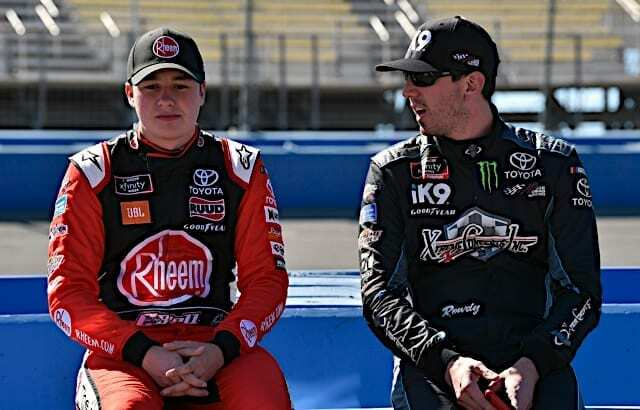 Home / 2-Headed Monster / 2-Headed Monster: Will Christopher Bell Be at Joe Gibbs Racing in 2020? After winning 10 NASCAR Xfinity Series races over the past three years, it’s pretty much a foregone conclusion that Christopher Bell will be driving in the Monster Energy NASCAR Cup Series next season. For this week’s 2-Headed Monster, Wesley Coburn and Clayton Caldwell debate whether Bell with be driving for Joe Gibbs Racing or elsewhere. Where will it be for Mr. Bell? Christopher Bell will be running for Joe Gibbs Racing in the Cup Series next season. They don’t really have a choice if they don’t want him to be snatched up by another team (cough, Hendrick Motorsports, cough-cough Stewart-Haas Racing). But keeping him will require a lot of rearranging through the Toyota farm system. How will this work? 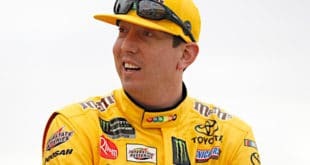 Well, obviously someone will be shuffled out of a Cup ride due to the four-car roster limits, and that’s definitely not going to be Kyle Busch. Denny Hamlin is having a solid bounce-back season, and his loyalty (and his status as JD Gibbs’ handpicked driver) won’t see him loaned out to another team to finish his career. Erik Jones recently got public support from Joe Gibbs that he’ll be staying. Does that mean that Martin Truex Jr. gets rotated out after one season in the No. 19? Bell will likely bring sponsorship from Rheem and JBL, and with SiriusXM helping out, that should cover the team for the season. Jason Ratcliff will return to Cup after several years with Bell in the NXS — his guidance is what helped Matt Kenseth rejuvenate his career at JGR with 14 wins, 54 top-fives, 98 top-10s and 12 poles. But what to do with Truex then? 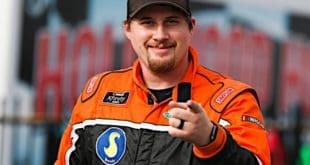 Bass Pro Shops and Auto-Owners Insurance will likely follow wherever he goes, and his veteran feedback, together with Cole Pearn as crew chief, would help Leavine Family Racing if it potentially expanded to a multi-car team (let’s say they use the No. 59). Truex was a mid-pack driver for much of his Cup career, and he’s almost 39. How many productive years does he have left? 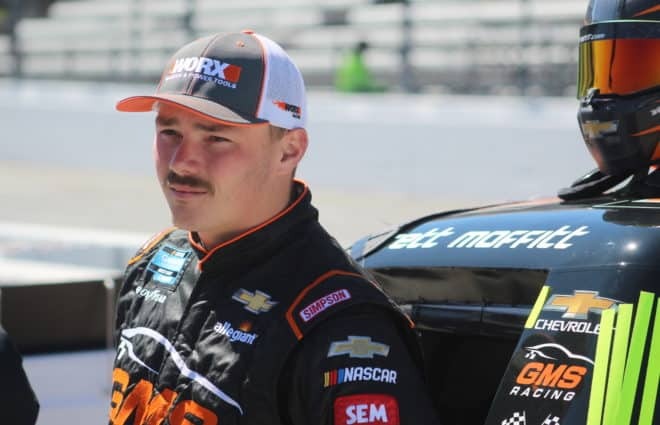 Bell’s stats in the Gander Outdoors Truck Series and the Xfinity Series speak for themselves — his future makes it a smart move to move on. Truex’s experience should also help LFR’s Matt DiBenedetto, and given Furniture Row’s clashes with JGR over the years (sometimes literally), it seems like the Pearn/Truex combination performs better with some distance between themselves and the main headquarters. Truex could also go to the No. 81 of JGR-allied XCI Racing, which is mainly sponsored by Xtreme Concepts company iK9. The organization has vastly increased its NASCAR presence this season. Truex’s outdoorsy brand would mesh easily with the company, and XCI is working towards eventually becoming a full-time Cup Series team. Bass Pro money would be a great aid to that end, and Truex is enough of a name to bring credibility to their upstart effort. 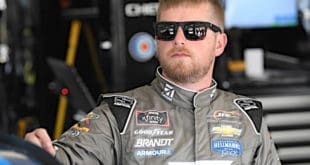 And with a big-name driver in their full-time car, that could give Jeffrey Earnhardt a bigger part-time Cup Series ride (No. 91?). Xtreme Concepts is a big backer of Earnhardt, and that legacy could provide some built-in fanbase as well. A much less complicated solution would be to loan Bell out to Leavine for the No. 59 for a few years, but given that he’s routinely crushing the field more often than not on Saturdays and that he’s already 24 years old, Bell’s patience would run out and he would likely bolt for another organization. I believe you will see Bell in the Cup Series in 2020 – but I don’t think it will be at JGR or in a Toyota. Let’s be clear, Toyota is a big reason why Bell has been successful. However, there are simply not enough seats for him to join a Toyota team in the Cup Series. Take a look at Joe Gibbs Racing. Kyle Busch is locked into a long-term contract with JGR and isn’t going anywhere. Denny Hamlin has a long-term relationship with sponsor FedEx and is the defending winner of the Daytona 500. I find it hard to believe that Hamlin would be moving from JGR. That leaves Martin Truex Jr. and Erik Jones. Jones is in his second season driving the No. 20 car, and I find it hard to believe that he will be moving on from the organization after just two seasons, especially when you consider that JGR moved a very good veteran driver from that ride (Matt Kenseth) to bring Jones into the fold. 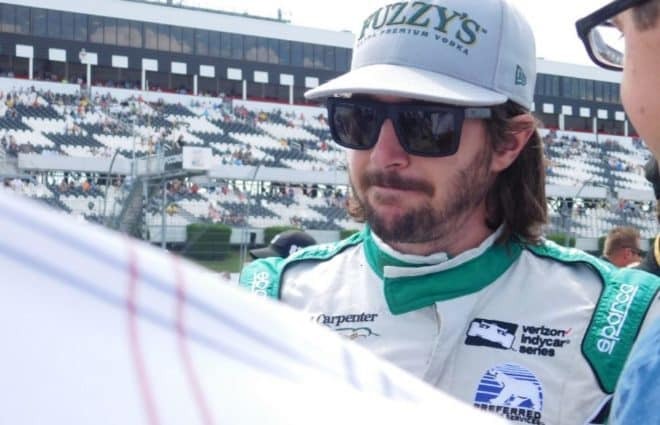 Truex is in his first season with the organization and is just two years removed from a championship. I also think Cole Pearn is happy with Truex, and their track record together means that they will not be leaving Toyota anytime soon. Truex is there to stay. 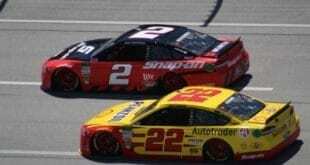 Joe Gibbs came out this weekend and said that he has a plan for both Bell and Jones for the 2020 season. I originally thought there may have been a chance for one of the two drivers to drive a second car at Leavine Family Racing, who has an alliance with JGR. However, as I have thought about it more, I doubt that will be the case. I think Bell will have more competitive options next season, and I believe Jones will take a move to Leavine as a demotion and would look at other options for 2020. Will Gibbs risk losing Jones? I don’t see it happening. I believe there will be a team that will go after Bell and give him an offer he can’t refuse. Who will that team be? There are a couple of options. One option is Hendrick Motorsports. There are a few moves that need to occur to make it happen, but Rick Hendrick has been known to make aggressive moves like this before. Adding Bell to the organization would be huge for them and it would give Bell a stable organization where he can win races. Another team I would say is an option for Bell is Chip Ganassi Racing with Felix Sabates. Kurt Busch is on a one-year deal with the organization. Can you imagine Bell replacing Busch and being teammates with his friend Kyle Larson? Ganassi would have two of the hottest young talents in the garage area. It would be wild. The last organization I say to keep your eye on is Stewart-Haas Racing. Remember last week’s big news? Darrell Waltrip is leaving the FOX broadcast booth at the end of the year. One of the rumors for his replacement is Kevin Harvick, although Harvick has denied the rumors. However, with Bell’s dirt car background and Tony Stewart’s love for dirt car racing, don’t sleep on this. 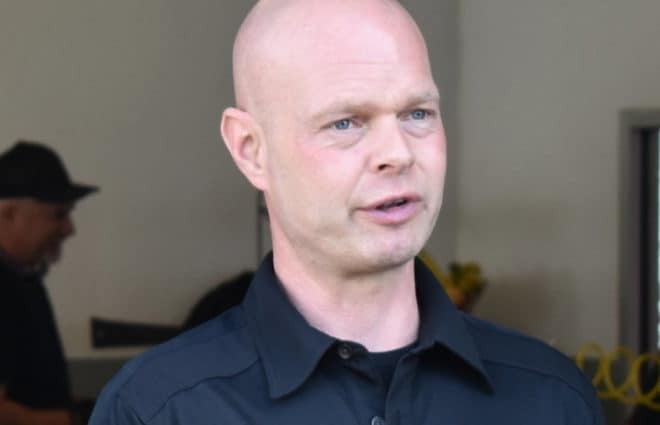 Wesley has been with Fronstretch since October 2017. He loves well-told stories in whatever format he finds them. Aside from NASCAR, he enjoys reading, country music and OKC Thunder basketball. He has a BA in Liberal Arts/English and currently lives in eastern Oklahoma, where he works as a freelance writer/editor. Toyota will decide where Bell goes and with their money now supporting the LFR #95, look for Bell to replace DiBenedetto. Gibbs will probably pay Bell’s base salary, while LFR will add the usual per-race purse splits. This will be very similar to when Gibbs moved Jones over to the #77 FRR car a couple of years ago. This will allow Gibbs to keep Bell on a leash should the Truex/Pern deal not work out. Another thought about Truex… You know who else has had connections with Bass Pro? Tony Stewart. If Harvick or Boyer hang it up, or if Boyer, Almirola, or Suarez have any issues with sponsorship I could see a play being made there. Also, just because Gibbs said Jones was fine doesn’t make it so. No employer publicly announces or admits they are thinking about releasing an employee until they actually do it – for obvious reasons. But I would almost bet Truex will be the one sacrificed. I don’t believe so. Gibb’s uses them up and spits them out, imo. Been going on for a long, long time. Don’t take my word for it look it up. Denise and Shrub are the only one’s with “staying power” thanks to FEDEX and The Mars people. YUCK. IMO. There is no doubt that Kyle is the leader of the Gibbs stable and peanut M&M’s are the bomb! Denny I feel has been fighting to keep up for a while and has been the forgotten man for a few years now. With aging veterans coming into Gibbs cars looking for one last shot at a cup title, Denny has been living in the shadow. Saurez was moved up too fast and unexpectedly and sadly there the performance was never there. With Truex needing a ride, he was the odd man out as it was apparent something was not working with that team as they were showing no progress. At least with Jones, there have been performance gains and he makes his appearance at the front once in awhile. Wouldn’t surprise me if Levine family racing with help from JGR gets another car rolling in their stable next year for Bell. My fear with Martin is he was irrelevant in the cup series until they went to the low downforce package. Now we are back to high downforce and his performance has not improved much since the last time these cars had high downforce. There is still time but if he doesn’t get a handle on it by the end of the year or next, he very likely could be the odd man out of JGR. Some drivers can drive anything (Kyle Busch, Joey Logano, Jeff Gordon) while other drivers come and go with different packages that NASCAR runs, see GEN4, GEN5 (COT) High Downforce, GEN6 (High and Low Downforce models) review these and you can see a trend of those 3 guys I name while others drivers were only relevant under particular generations. Christopher Bell is easily one of the three most talented drivers in all of NASCAR. My belief is that he’s already signed a long-term deal with JGR. 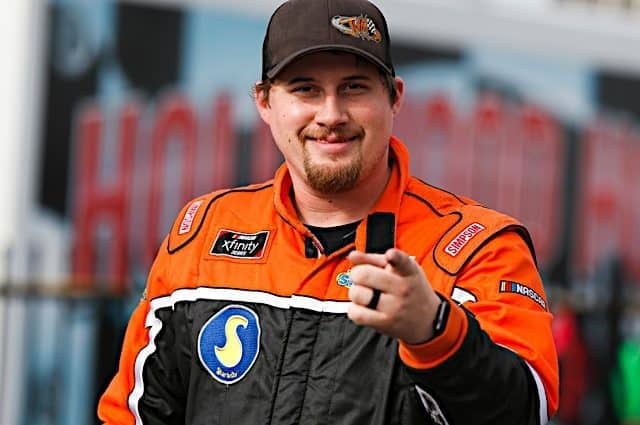 Eric Jones will either be offered an XFinity ride in the #20, or be released outright. JGR learned a lot from the disaster that was Daniel Suarez and won’t soon repeat that miscue. Another place to park Eric Jones would be the fully functional KBM, moving up to the Cup Series…in 2020. Honestly I think Truex is the odd man out here. His performance only peaked with furniture row under the low downforce package. Prior to that he was a middle of the pack driver in middle of the pack equipment. Since moving back to the high downforce type car, I have not seen the speed out of Truex to keep him around. Still a lot of time to turn it around but age is not on his side either. Tough call will have to be made but I do feel that Levine will open another seat next year given the JGR alliance.